I don't know about you, but when I think tea, I think Mickey and Minnie Mouse. 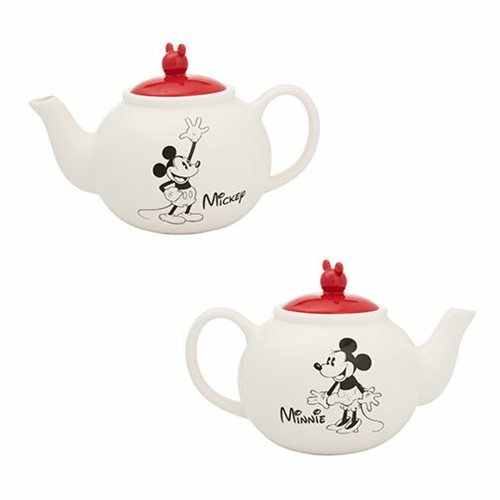 Now you too can enjoy these happy rodents with the Mickey and Minnie Mouse Sculpted Ceramic Teapot! Measures roughly 6 1/2-inches x 10-inches x 6 1/4-inches and comes in a color gift box. Hand wash only. Not dishwasher safe. Ages 14 and up.